The Canadian Chess Challenge celebrates its 29th anniversary this weekend! Since the advent of the Chess Challenge many provinces have developed excellent scholastic programs. The state of scholastic chess has improved enormously in this country over the last quarter century and we at Chess'n Math are proud to have been the driving force behind this initiative. The Canadian Chess Challenge all started back in 1988 when well-known cartoonist Ben Wicks met with Fidelity Electronics of Canada (makers of chess computers) President Stan Samole in 1988. Wicks was looking for a link with chess and a way to raise funds for GEMS, Global Ed-Med Supplies. This is a charity run by his wife Doreen, which helps people in the third World. Samole put Wicks in touch with the Chess Federation of Canada who passed the ball over to the Chess'n Math Association, Canada's National Scholastic Chess Organization. In 1989, major national sponsors covered tournament expenses and travel costs to the Nationals for all provinces. This allowed the registration fees paid by the students to go to GEMS. The philosophy behind the Challenge was a simple one: kids would help other kids while having fun playing a game emphasizing intellectual agility. For 1993, the Canadian Chess Challenge moved out west for the first time ever. Alberta, under the leadership of Phyliss Flower and Ford Wong, showed the rest of the country that it is possible for any province in Canada to host this prestigious event. Newfoundland took the ball for the 1994 event making it the best organized Chess Challenge up to that time and raising the bar for future organizers. 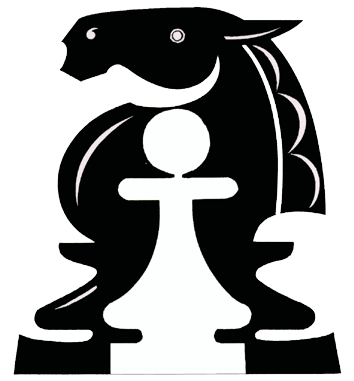 The Chess'n Math Association, Canada's National Scholastic Chess Organization, was created in 1985. This year we are cele-brating 33 years of service to the chess community. We are very proud of what we have accomplished over this time. Pascal Charbonneau, who started taking lessons with us when he was 8 years old, has gone on to become a grandmaster and Canadian champion. Many of our former students are today making valuable contributions to society. Chess has been a positive influence on their lives and it is something positive that they will always have with them. We are proud of them! We are a not-for-profit organization, devoted to bringing the game of chess to Canadian youngsters. When you purchase your chess books & equipment from us, you are making a contribution to Junior chess in Canada. Thank you for your support! In an effort to continue to improve our services and programs, in the fall of 2018, the Chess'n Math Association will introduce a new bursary program for Canadian youngsters who play chess within our structure. Details will appear on our website this summer. I am sure you will go home with many life long memories from this weekend. Good luck to everyone and above all, have a great time! The Canadian Chess Challenge is our pride and joy and we thank you for being a part of it this year.